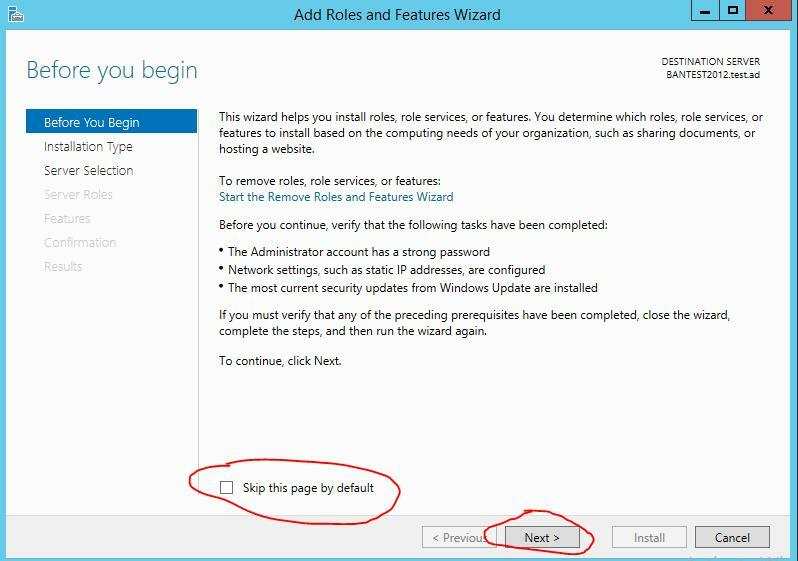 If the “Before you begin” page displays click Next, you have the option at the bottom to “Skip this page by default”, select this if you don’t want to see this page in the future. Click “Next>”. 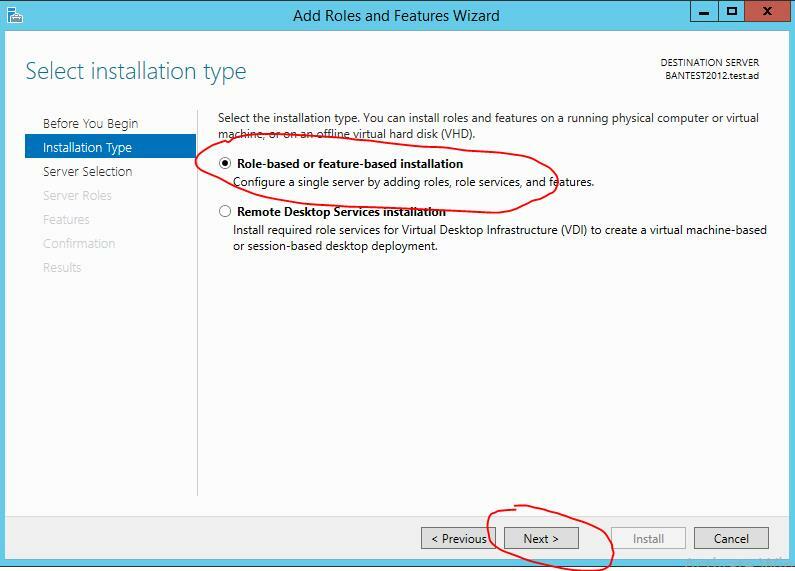 Leave the default of “Role-based or feature-based installation” and click “Next>”. 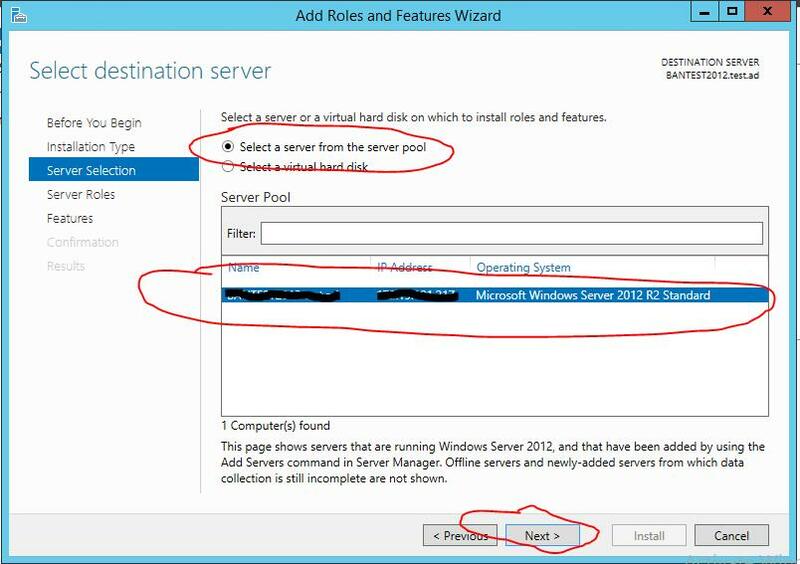 By default your server will already be selected on the “Server Selection” screen, if it is not then select it and click “Next>”. 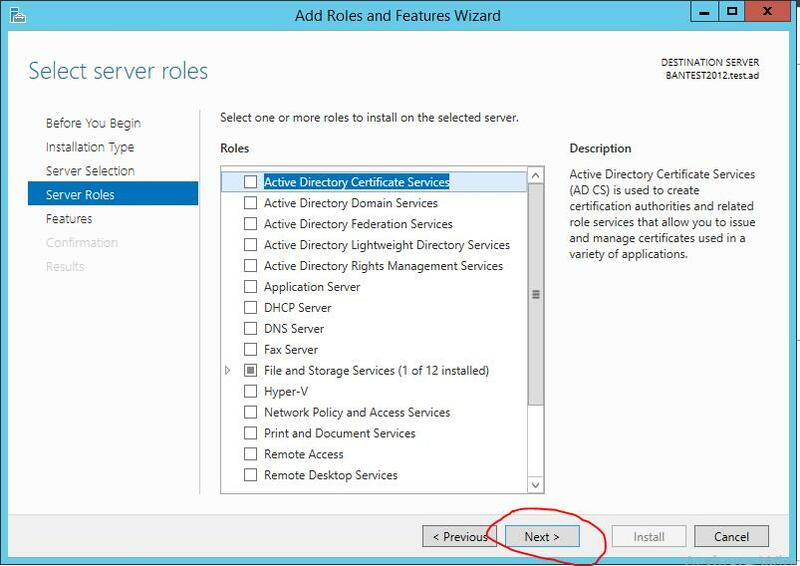 Do not select anything at the “Server Roles” screen, simply click “Next>” to move on to the “Features” screen. This entry was posted in Group Policy, Windows 2012. Bookmark the permalink.